AS repeatedly stated at this site – in tandem with countless megaphones across the internet and print media – “democracy is not a suicide pact.” But what does it actually mean, and, what difference does it make, anyway? OVER many decades, elected and unelected leaders in the west – a/k/a elitists in political, media, educational, legal, cultural, and related spheres of influence – have been subtly and profoundly influenced by the moral and cultural relativism that has permeated all levels of education in the free world. And with U.S. academia viewed as the “gold standard” of the west, generations of its students have been indoctrinated by the ethical neutrality of the social sciences and humanities. Resultant, countless opinion makers and policy makers have been taught (future ones are in the making) that there are no rational or objective standards by which to distinguish between right and wrong, good or bad, and this inhibits many from calling out and identifying evil for what it is. TO wit, it is into this (mis)educational abyss that a highly immoral and toxic environment has emerged, that which has inculcated and tolerated the intolerable – rendering, otherwise reasonable men with eyes and ears to become blinded to rationality and objectivity. IN this regard, both the fascist-left and soldiers for Allah have emerged triumphant within the American landscape (the west, in general), and this truth can no longer be denied or ignored – as hard as opinion makers and policy makers try. STILL, to further shore up said indictments, just consider the following as two foretastes – out of an ever-climbing mountain of evidentiary trails. Proofs. 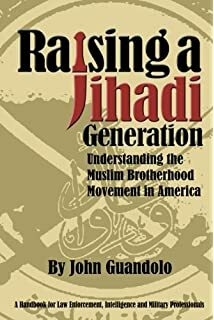 Even after Mohammedans slaughtered thousands of Americans on 9/11/01 – terrorizing an entire nation in the process – how could it be that Muslim-Americans were able to form (in 2014) their own political party, while muscling through the nation’s halls of power with major Jihadi leadership at their helm? Pointedly, is this not national suicide, albeit through the democratic process? If not, why not? The US Council of Muslim Organizations (USCMO), a coalition of leading national and local American Muslim organizations, today announced plans to host the first-of-its-kind National Muslim Advocacy Day on Capitol Hill in Washington, D.C. on April 13, 2015. Expected to draw hundreds of Muslim delegates from across the nation, this one-day event is open to representatives of all national, state and local Muslim organizations and communities. The event is designed to connect national, regional and state Muslim organizations, community members with more than one-third of the U.S. House of Representatives and a half of the Senate. Advocacy day issues will focus on the domestic priorities of the American Muslim community. “We encourage the Muslim American community to participate in this unique opportunity to meet with their legislatures and experience the democratic process first hand,” said Oussama Jammal, Secretary General of USCMO. “Muslim communities frequently host state advocacy days in state capitols nationwide, but American Muslims have never held a unified national event in Washington, D.C.,” said Robert McCaw, chairman of the USCMO Advocacy Day Steering Committee. USCMO will soon launch a registration website that will prepare Muslim delegates for their congressional meetings. The coalition will also hold a series of online training seminars on effective advocacy techniques and will provide support in scheduling congressional meetings. On the day of the event, Muslim delegates will be offered a series of seminars on Capitol Hill covering best practices for meeting with elected representatives and how to discuss the day’s advocacy issues. Hmm…trust this Jihadi expert on a verily explosive truth: the above “sponsors” are a list of “who’s who” in the Muslim Brotherhood Mafia! Once the initial foretaste is absorbed, fast forward to August 2018, where the aforementioned infiltration and penetration is demonstrably up and running – and on steroids! ALL of which brings the discussion straight back to the core thesis and charge sheet – that which has allowed a U.S. Appeals Court to gift an indicted soldier for Allah rewards and more! NEW YORK — A one-time Maryland high school honors student who admitted aiding Muslim extremists overseas and helped the U.S. pursue terrorists after his 2011 arrest is a U.S. citizen, a federal appeals panel said Thursday as it erased a pending deportation order. PRAY tell, who are the crazies? Are they the three-judge appeals panel who exculpated his terror record; the lawyer (barf….another Jewish useful idiot) who got him off, or the Jihadi who knew he could play the democratic system like a fiddle, that is, until the next plot is hatched? 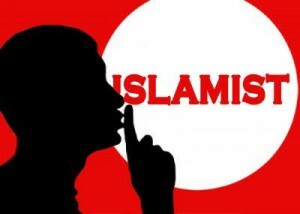 Hint: not the Mohammedan! BUT it is not as if any of this dangerous and suicidal behavior should come as a surprise. Not at all. In fact, if it does, that’s the shocker. SO consider the most definitive evidence of all, as to how off the cliff the powers that be really are: five terrorists from 9/11/01 are still awaiting pretrial hearings! How can this be? WELL, if not for having lost their moral and ethical bearings – and that’s putting it simplistically – Maryland’s 24-year-old Jihadi (among countless others) wouldn’t be in the throes of benefiting from America’s largess. In the main, but for the fact that 9/11/01 terrorists have yet to be put on trial, what followed in its wake would be worth less than a piker’s damn. Yes, America’s system of justice would be feared, as opposed to mocked. AND if the above is not enough to cause rational folks to howl – where the hell is America headed, and how are patriots supposed to respond to the madness – the following is what awaits, if nothing is done to thwart the nation’s precipitous slide into suicide-mode. 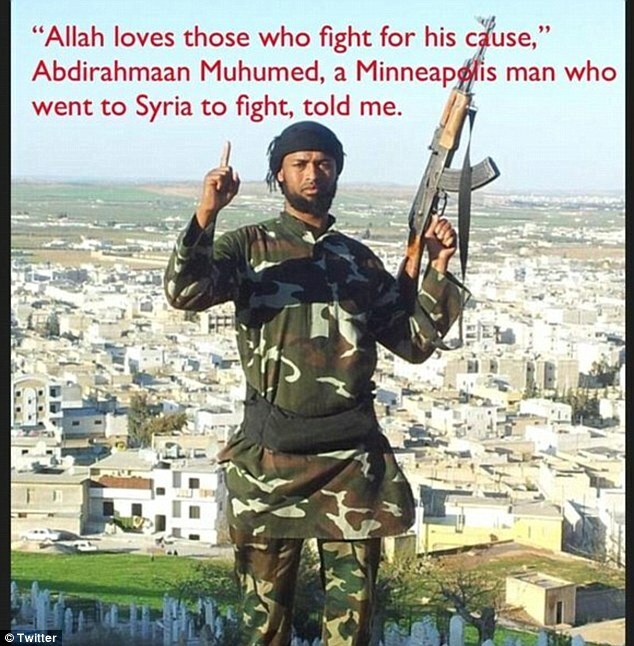 MIND you, this site has hammered highly specific Minnesotastan threats, among others – again and again and again and again and again…..
CONCLUSIVELY and consequentially – as to the answers to the very basic and pivotal questions posed in the opening shot – two piggybacks are central and mandatory to internalize. WHEN a nation’s moral compass is set asunder – whatever the reasons may be – there is nothing to stop injurious and dangerous forces from taking over. In other words, all bets are off, so to speak. AND it is into this deep and dark void that the nation’s judiciary has fallen, thus, becoming a present danger. Incapable of executing the law (beholden to political and unelected power players who propelled them into this and that judgeship), dispensing real justice is not on their agendas. Rather, a preponderance comport themselves as PC activists for whichever “protected and aggrieved” group stands before them, effectively, social engineering and twisting the law into pretzel-like knots from the bench! How insane and dangerous is that? Meanwhile, the Constitution they are sworn to uphold has been violated and vitiated of all meaning. TRENCHANTLY, is it any wonder that those who plot to carry out terror attacks against fellow Americans are given little reason to fear the so-called heavy-hand of the nation’s legal system (never mind the assistance gifted via the nation’s security arms, namely, the FBI), to the degree that the “worst of the worst” have yet to be tried and indicted, while others are free to retain their citizenship and to enjoy the perks of a U.S. education to boot – as worthless as it may be? And never mind the rest of the bounty the nation bestows upon those who should be locked up forever, instead of unencumbered to plot for another day. RESOLUTELY, the leadership have gone mad – as the lynch pins of the free world, or of what’s left of it, have fallen off the axis!